I went for a long drive, and came back with a business idea. During 2015, I went for a lot of long drives to think and de-stress from working on [the MPC](). One day I went out driving and came upon a remote town with a row of businesses that sold cowboy boots. I stopped to take a look. I was amazed at the intricate designs and the quality of the materials. These were people seriously devoted to their craft. I like traveling light, so a not-too-big leather duffel bag is my ideal companion. But no one had any. In fact, almost no one had any bags at all. The few bags that existed were in a raw, macho style that didn’t appeal to me. I talked to many different craftsmen and found a few that seemed to have the nicest work and the best attitude towards me, the customer. I drove home, convinced that I would soon have a new bag. I talked about the idea to my partner, Sara Sánchez. We worked together to prototype bag ideas on paper. We wanted something simple and clean. It needed to be rugged enough for travel but not so huge that it was bulky or hard for smaller people to carry. We were also afraid of making a bag that couldn’t be used as a carry-on. Imagine purchasing a beautiful piece of luggage and having it ruined after it was thrown around by baggage handlers! Finally, we wanted to honor the culture producing the bag by making the product distinctly Guatemalan. 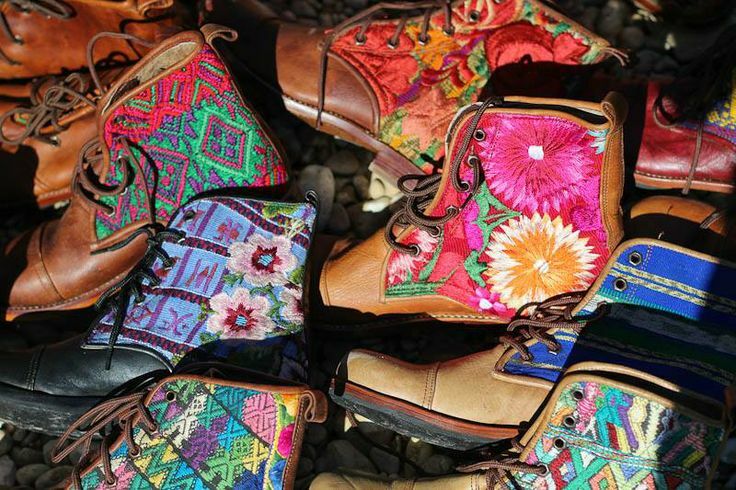 Many products from Guatemala use vibrant colors and complex patterns from traditional Mayan textiles. These add a beautiful, exotic touch, but they’re often too intense for customers from other cultures. We went to Guatemala City’s central market and wholesaled a few bolts of fabric for testing. The fabric was incredible: thick, hand-woven, and naturally dyed but won’t bleed color. We started with a messenger bag. Our first and second prototypes were failures. A failed prototype of a messenger bag. It was too big and the leather was too soft and fold-able. We didn’t like the pattern and the zippers didn’t match the rest of the bag. Whoops! Finally, we arrived at dimensions and materials that got the look we wanted. We produced a messenger bag and duffel bag to start. We didn’t want anything to feel cheap. So we sourced gorgeous, durable zippers and other antique brass hardware from the U.S. and Canada. Our final prototype worked great. The craftsman could use our paper templates to sketch right on the leather, cut the pieces, and assemble the bags! When all the pieces finally came together, we loved the results. Instead of putting an ostentatious logo or color accent on the outside of the bag, we moved the textiles inside. From the outside, the bag is modest and traditional. Even the colored strap is removable. We made the bag the maximum size allowed for carry-ons by most airlines. We added a handle to make it easy to move the bag in and out of overhead bins. We realized later that adding antique brass ‘purse feet’ was a small expense but really upped how complete and high-quality the bag felt. Once the owner opens the bag, the vibrant magic of Guatemalan textiles is on full display! Men and women alike loved the colorful surprise waiting for them inside the bag. The textile is so thick is also offers additional protection for items inside the bag. Plus it conceals the rough reverse-side of the leather without the tacky stick-on polyester lining found in mass-market leather bags. Customers said that a zippered inner pocket was important for their personal items to feel secure. I was happy with my new bag. But I received so many compliments on the bag from strangers in airports, I knew we should consider producing them more widely. Working with my partner, we put together a simple website and marketed the bags on social media. Within a week we had sold a few. We cold-called and emailed many retail outlets in the U.S. Although they consistently said they loved the designs and quality of the bag, they focused on high-volume and extremely low prices. There was no way to source the quality materials we needed and also offer decent pay to the craftsmen if we accepted the offers of these retailers. We were out of the price range of mass-market stores. So we looked at boutiques instead. Higher-end stores were alright with the prices, but wanted products with an obvious status symbol of an established brand. We weren’t Gucci or DK. Fundamentally, we were wrong about what drives the purchase of a high-end bag! It was clear we had a nice niche, but not enough of a business to grow in a big way. By the end of 2015, we had sold enough bags to make a tidy profit. Since we were both leaving Guatemala, we shut down Antigua Trading Co., happy with what we had learned from our experiment as an exporter. I still bring my Antigua Trading Co. leather bag everywhere I travel! Both my partner and I were busy with other things while we worked on Antigua Trading Co. Although everything worked out well in the end, I should have spent more time during the week advancing the project. Working on weekends doesn’t keep momentum – after five or six days, you’ve fallen off the train you set in motion the previous weekend. I should have investigated the import/export process better and earlier. It turned out to be an expensive and difficult process to ship anything out of Guatemala. We couldn’t have chosen a worse time because the country was crumbling politically and the national import-export agency was at the center of the social unrest!